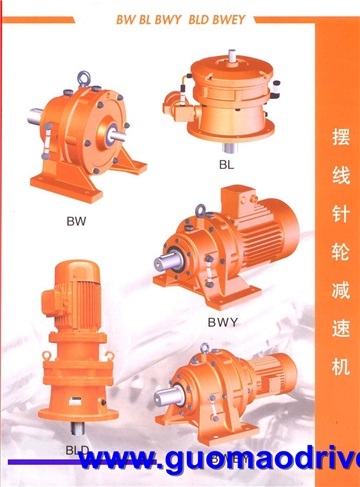 With more than 30years manufacturing cycloidal gear reducers, our factory has been the top quality factory for producing cyclo drive gears. 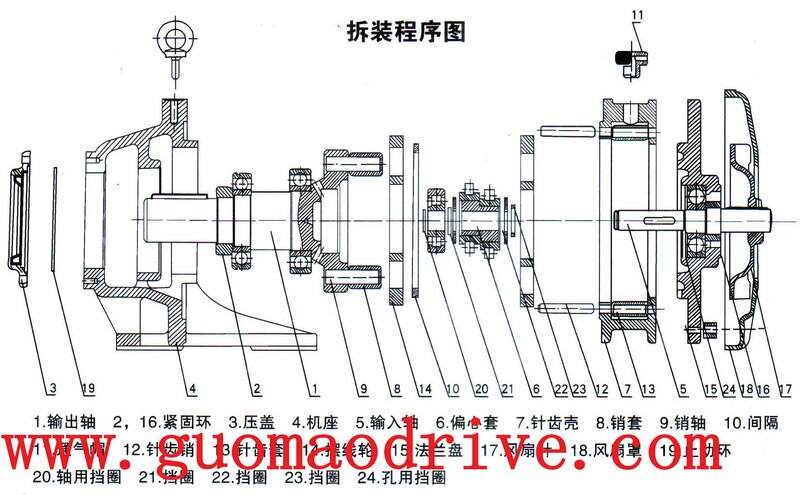 This type gearbox has a high transmission efficiency, more than worm and helical gear type. We also supply all the spare parts for this power transmission structure. the cyclo gears, the pin wheel, the small parts including of bearings and seals. That is very important parts for all the cycloidal gear reducer. The cycloidal gear motor can be in various mounting way, horizontal or vertical with flange. Some are used as the power source of mixer. This is a very common Application. 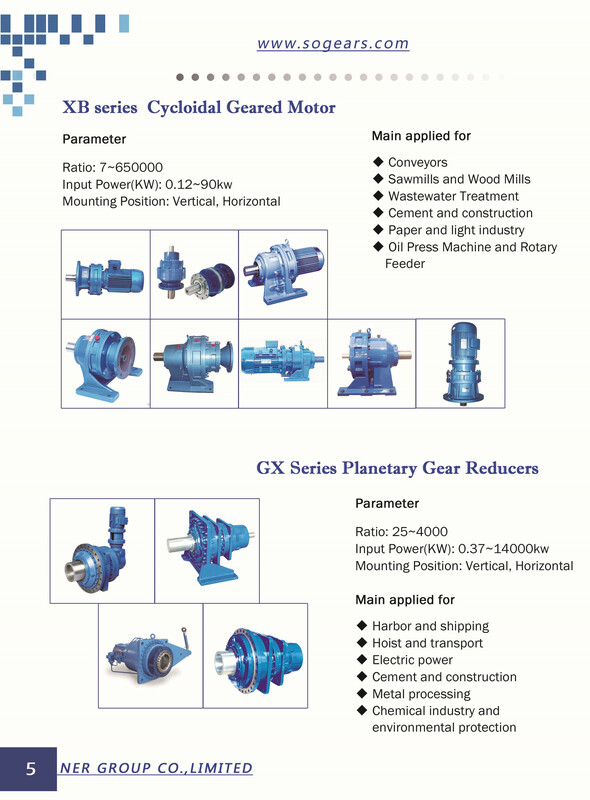 Cycloidal gear Reducers is playing more and more important role in the industry application today and there will be a larger requirement in future. We have the best facility in China and with the most experience.